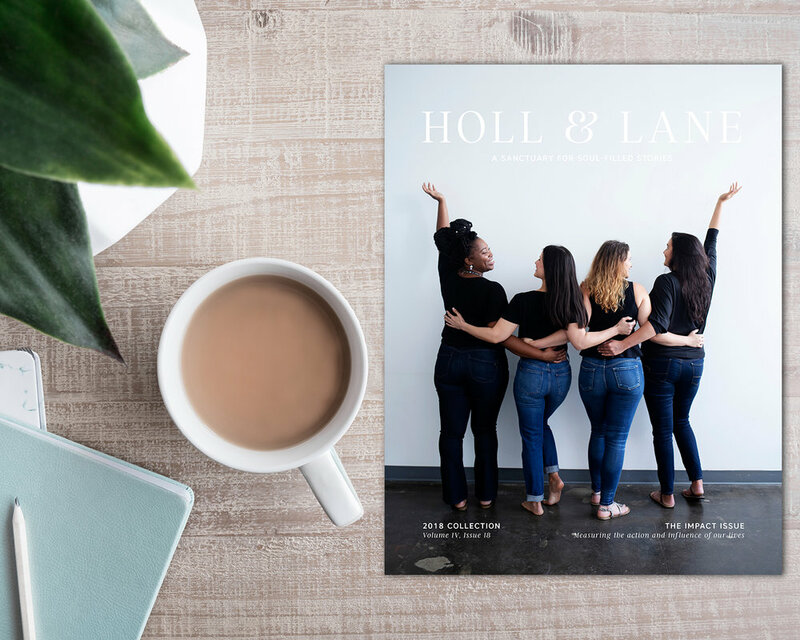 I’ve had “impact” on the brain for the past almost 2 months because it’s the theme of Holl & Lane Magazine’s latest issue. (I’m on the H&L team as the editorial manager, I should probably make that clear, ha!) Impact in the form of leaving a legacy behind, or making a difference in the world. Impact in the form of people or situations that have left their mark on us and changed us forever. But what about the unseen impact? If you affected someone else in some way, but you had no idea that it would happen? I like to use the analogy that it's easy to see the ripples in the water when you throw a stone into a pond. That's the obvious and measurable impact of that action. But what about what happens under the surface? The stone doesn't just stop and float after it hits the water, right? Recently, I received an email that drew the most intense (but grateful!) sobs from me. A reader from our Holl & Lane community emailed me and told me about a discussion she'd had recently with a group that she runs. She used one of my poems, Liquid Courage, from a previous issue of H&L as a prompt to get discussion going and she said, "We talked for over an hour just about the positive impact your words had on them. It was incredible." At this point, my eyes were so blurry, I had to stop and gather my composure. But I just sat there and thought to myself - who knew? Who knew when I wrote this poem over a year ago that someone - a group of someones even - would be moved by my words this way? But it was this sentence that she wrote that made my heart sing: "Your words and work are so important." How many times have you done something and not seen immediate results? Or someone didn't respond the way you'd hoped? Or something you did wasn't noticed? I could go on, but my point is this: what you are doing, what you have to say, what makes your heart soar - keep doing it. It DOES matter. You are making a difference.You might not know it yet. You might never see it. If she hadn't emailed me, I'd never have known. But if just one person is positively impacted by you, I'd say it's all worth it. This essay was inspired by the Impact issue of Holl & Lane Magazine. And it also appeared in a recent edition of the Holl & Lane newsletter (you should sign up!) and has been edited for clarity.